In Ljubljana, the capital of Slovenia, the best time of year is approaching. It is usually around this time, when the old city center starts to bounce in the rhythm of many bands and street performers. This usually lasts till mid September, when things cool down again (this in my opinion is the best time of year to visit Ljubljana). It is a true delight just to go for an evening walk through the streets and enjoy the atmosphere with a glass of wine in one of the many street cafes. 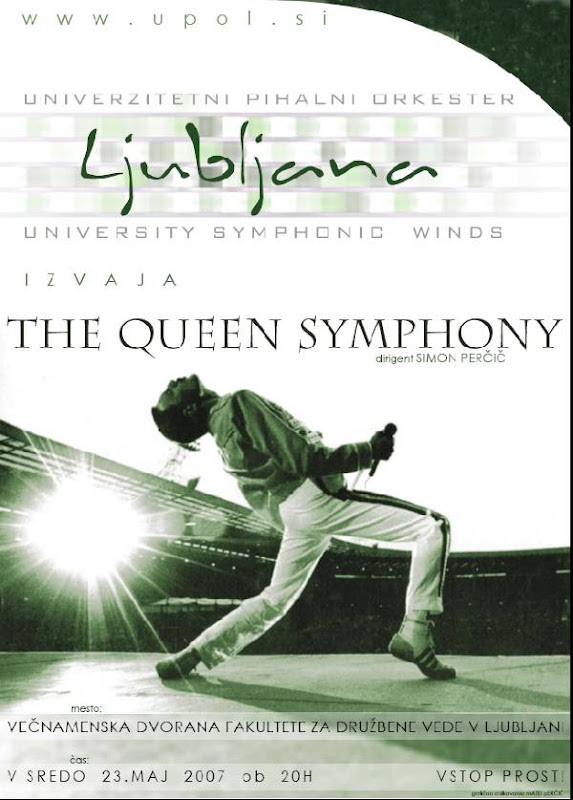 Two days ago the Travel Photo Blogging team (that's me and my girlfriand) went to listen to the Queen Symphony performed by the University Symphonic Winds Ljubljana. 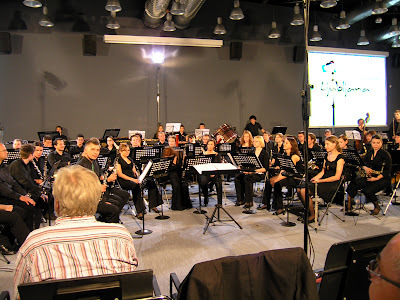 My brother was one of the performers (check out his Tuba Blog) but even if he didn't play, I would go anyway. If you didn't know, once upon the time The Queen were one of my favorite bands. This symphony was first performed by The British Royal Orchestra. But for this adapted version it was a world premiere. It was supposed to happen somewhere in Sweden a few days ago, but for some reason it got postponed. I really enjoyed every single minute of it. I even got myself a poster of the event. I loved Queen until one day my pretentious cousin said the only non-classical band worth listening to was Queen. I couldn't listen to them for a long time after that. I still get excited when I hear their songs on the radio, though. And I linked (or will link in a second) to your blog. I like your photos. They really catch the spirit of the moment. Thanks for the comment on my blog. Thanks for the kind comments you left on my blog. I added a link to you. Have a great day and wonderful photos!! Hi Marko, me again. Wanted to let you know that I got your link up on my sidebar. It's at the bottom under Links.